This lecture series is named after the man who not only ignited the American Revolution, but whose very words in opposition to the w rits of assistance inspired the Fourth Amendment. 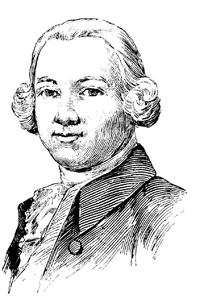 Born in Great Marshes (now West Barnstable), Massachusetts, James Otis would devote his life to the law, as his father and grandfather had done before, becoming one of the most revered trial advocates and legal orators throughout Massachusetts, earning him the coveted position as Advocate General of the Vice-Admiralty Court at just thirty-one years of age, a position he would later resign to champion the cause against the Crown's arbitrary issuance of writs of assistance. The writs were general search warrants that permitted the authorities to search anywhere they pleased for any reason-or for no reason. In one of the first defiant stands against British authority in the Colonies, Otis attacked the writs as "against the fundamental principles of law." He asserted, among other things: "A man's house is his castle; and whilst he is quiet, he is as well guarded as a prince in his castle. This writ, if it should be declared legal, would totally annihilate this privilege." John Adams, who witnessed Otis' impassioned oration, afterward declared: "Every man of an immense crowded audience appeared to me to go away, as I did, ready to take arms against Writs of Assistance. Then and there was the first scene of the first act of opposition to the arbitrary claims of Great Britain. Then and there the child Independence was born." Although Otis may have lost his case before the Massachusetts Superior Court in Boston's Old Town Hall that day, he gained a place in history. In that case, "the American tradition of constitutional hostility to general powers of search first found articulate expression." It was Adams, so inspired by Otis' words, who later drafted Article Fourteen of the Massachusetts Declaration of Rights of 1780, which served as the model for the Fourth Amendment. Though eventually reduced to insanity and ultimately silenced by a bolt of lightning, James Otis will forever remain first among America's Fourth Amendment advocates. 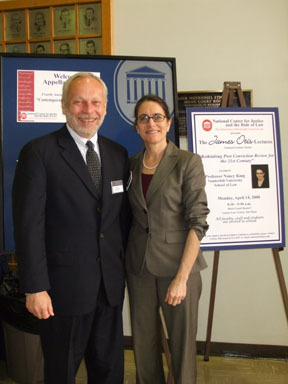 This lecture series offers a forum to leading scholars to comment on search and seizure and other criminal procedure topics. Rights Without Remedies: The Court that Cried "Wolf"